That's Jim Gordon's daughter up there. Man, let’s hope this means you’ll eventually be able to play as Batgirl. Batgirl won't be playable, nor did I see any female characters for the thugs. When I asked Cornish about that, he said, "I know guys on the team are very keen to have female representation in games generally, and that goes for me as well, but I think this is about what resonates most with fans. You work out what resonates best." PR then weighed in to say that they also just wanted to put Batman and Robin together. "Batman and Robin are the classic duo, and also Robin, I guess, more readily comes to mind when you think of Arkham. So that's really the reason why," Cornish said. "They are the dynamic duo, they hunt together. If you were to ask a typical fan on the street, not necessarily 'who would you rather play as' but 'what do you think of when you think of Batman?' Robin would generally come mind sooner than Batgirl." But this screen makes me hope that she might be eventually show up in an add-on pack or story expansion. At this point, the character’s incredibly conspicuous in her absence. Throughout the Batman Arkham games, there’ve been all manner of Bat-family members and alternate characters that have shown up for in-game use. Players have even gotten to control villains like the Joker and Deathstroke. If past games are any indication, there’s going to be a long rollout of purchasable additions coming for this game. Batgirl should really be part of it. 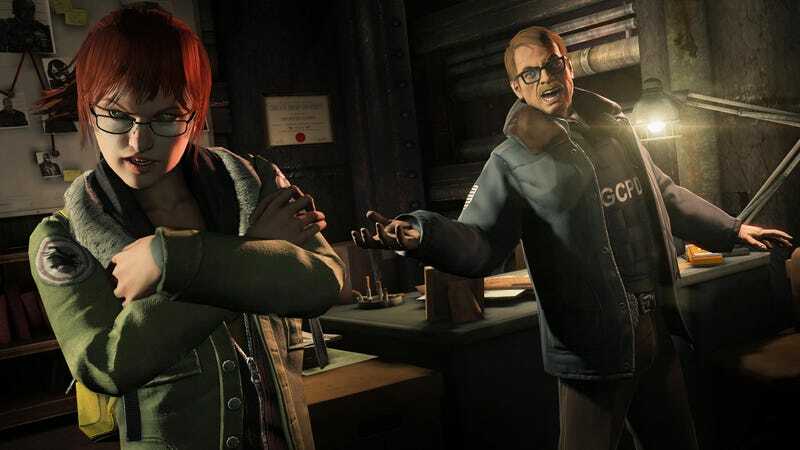 In Batman: Arkham Origins, players are introduced to a teenage girl by the name of Barbara - someone who fans will later come to know as Oracle. As the daughter of police captain James Gordon, Barb meets Gotham’s mysterious masked vigilante for the first time. No mention of her time as Batgirl. Weird.